Just released, the piano accompaniment version of this simply brilliant solo by Herman Pallhuber. 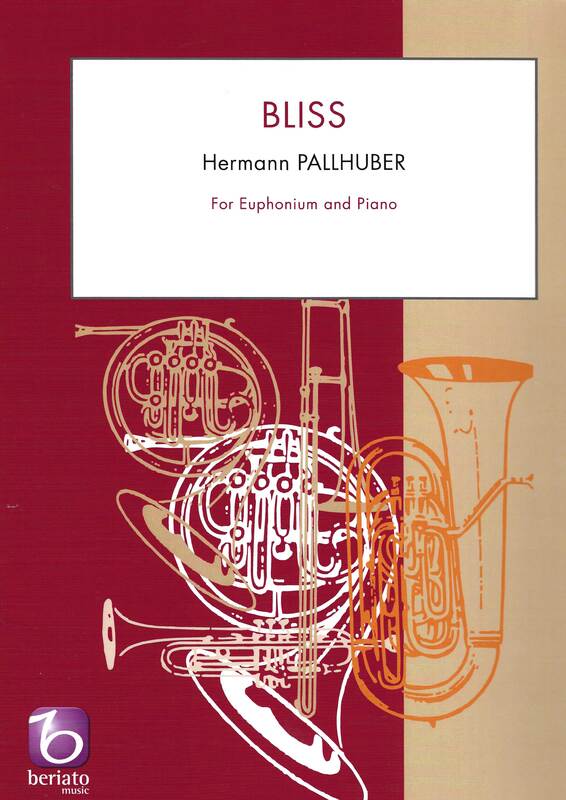 BLISS - now released for Euph & Piano. 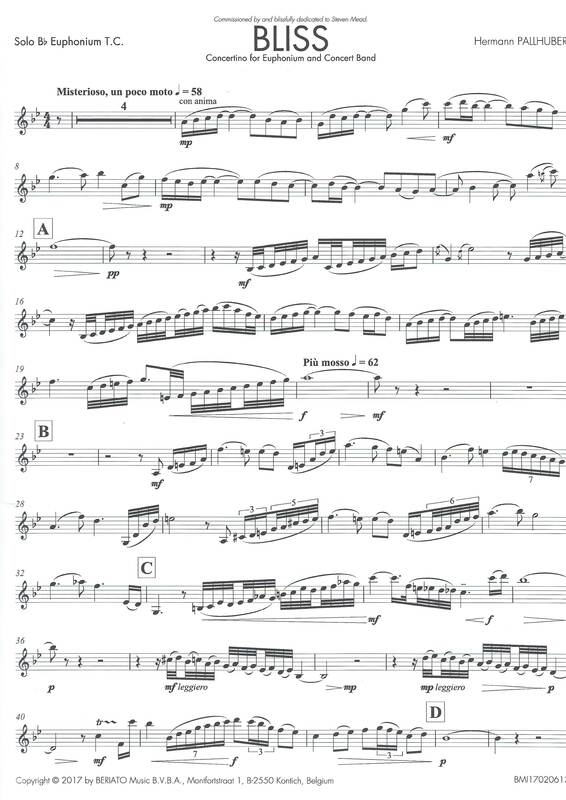 First Performed in 2011 by Steven Mead for Wind and BrassBand, performed recently at RNCM Brass Band Festival in Manchester in its present form (transcribed by Peter Knockaert). In two main sections, the first being expressive and quite slow and then, following a short cadenza, a stunning rhythmic and virtuosic Allergo Vivace. A central slower contrasting section introduces the main 'blissful' them which then returns in the finale. A huge crowd pleaser. Watch/listen to a live performance (with wind orchestra) in La Coruna, Spain by Steven Mead. From the publishers, Beriato Music : Bliss is one of the most spectacular euphonium solos around. It was commissioned by the euphonium virtuoso, Steven Mead. This two-part concerto brings all the characteristics of the instrument into the spotlight: it contains a slow, colourful section that resembles a typical English air, in which the full round warmth of the instrument is revealed, followed by an extremely virtuoso, dynamic fast movement. A great one for any soloist looking for a challenge!